Brought to you by Wacom. 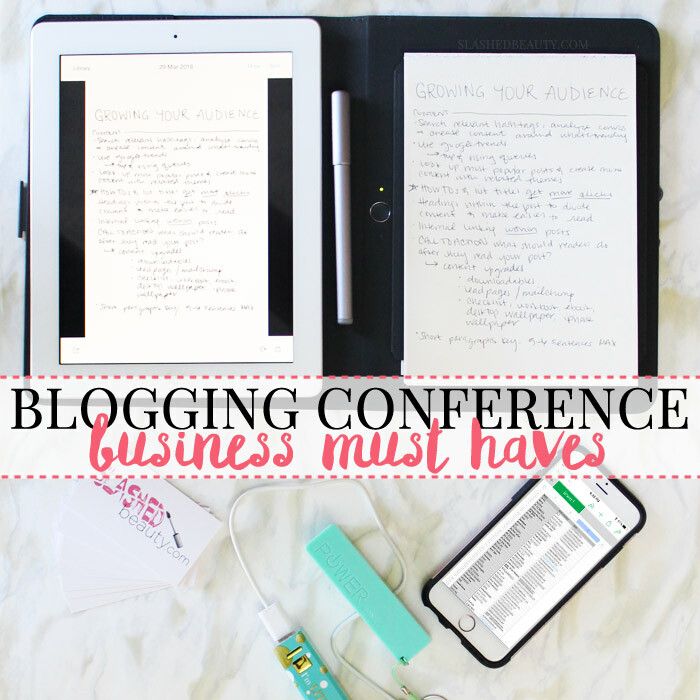 Whether you’re a new or seasoned blogger, blogging conferences are an amazing way to connect with other online entrepreneurs as well as learning new tricks of the trade. Usually spanning between one and three days, blogging conferences offer opportunities to network with fellow bloggers, sometimes brands, and hold workshops to help you develop your craft even more. But, blogging conferences are only as valuable as you are prepared. There are some key must-haves to pack that will help you get the most out of the weekend, both business and fashion/beauty related! You’re going to be consuming a TON of information over the course of the conference, so you’ll need a way to keep track of it all. I hate bringing my laptop with me because it’s so cumbersome to carry around, and I personally digest new information better with handwritten notes. 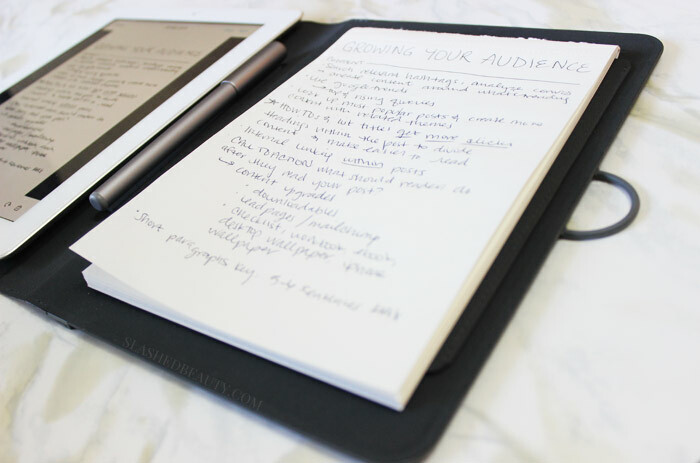 The Bamboo Spark is perfect for me, because the device lets me take notes by hand while digitizing them and storing them into the cloud. I can access the notes on all my devices later, and don’t have to worry about losing hard copies. It also allows me to pack light, since it works whether I decide to pair it with my iPad or just my cell. I also like using it to plan out my day– I’ll jot down the seminars I want to attend and their location as I go through the schedule, and then I can access the info from my cell later. You can see my original post with more info on the Spark and how it’s helped me get organized here. You’ll be meeting so many new people, many of whom you may be interested in staying in touch with. Getting professional looking business cards is an absolute must, and it doesn’t take a lot of money or design experience. For my first business cards, I used Vistaprint’s business card designer to put together a branded card, and paid around $15 for a pack of 250! Be sure to do this at least a few weeks in advance of the conference, since printing and shipping can take a while at the standard rates. Click here for a $10 coupon for Vistaprint! I’ve been to enough events to know that trying to juggle a DSLR camera throughout the day is downright annoying. Now, I only bring my iPhone to conferences and trade shows unless I have something specific planned, in which case I still only take a high powered compact point-and-shoot digital camera. Packing light can really make your day easier as you run around. Wall plugs will be hard to come by in the conference space, so bringing portable chargers for all of your devices is the best way to always have power at your disposal. This also keeps you from being tethered in place as you wait for your battery charge up at an outlet. This little trick has helped me on many occasions when I know a certain brand or business will be in attendance at a conference. I keep a spreadsheet with all of my industry contacts in the cloud, and highlight brands I might run into. That way, I can ask for people by name to get straight to the individual who I want to network with. If you are only just building up your contact list, check a brand’s website for their PR or media representative, and ask for them by name. It will look good that you’ve invested time in researching their company. 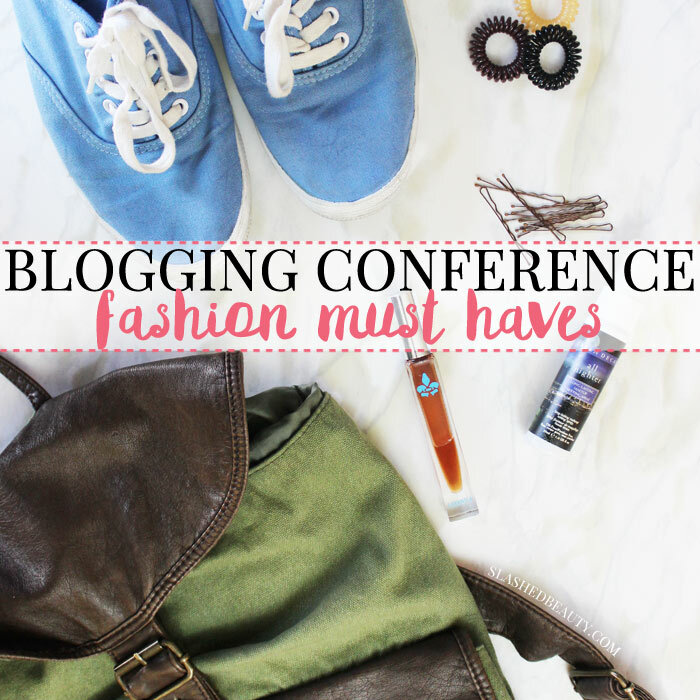 Am I missing one of your blogging conference must haves? Let me know what you pack in the comments! Also, what are some blogger conventions that you’d recommend? Thanks! There are a ton! BlogHer, SoFab on the Road, Simply Stylist… a lot of networks hold their own as well. Don’t forget water and snacks! I paid $20 at TMSLA for two drinks and a grilled cheese. Rookie mistake. True dat! A lot of conferences last over 2 days though, so buying food is inevitable lol. These are great! Portable chargers a must for sure. Great tips! I’ve been eyeing the Bamboo Spark for a while now. It looks awesome! You nailed it! I don’t think you missed a thing!